As I stated in my instagram post, If you don't wear your lace knit off the shoulder then can you really call yourself a fashion blogger? As this has been the the unwritten universal rule on how to wear your lace up knit as a blogger. 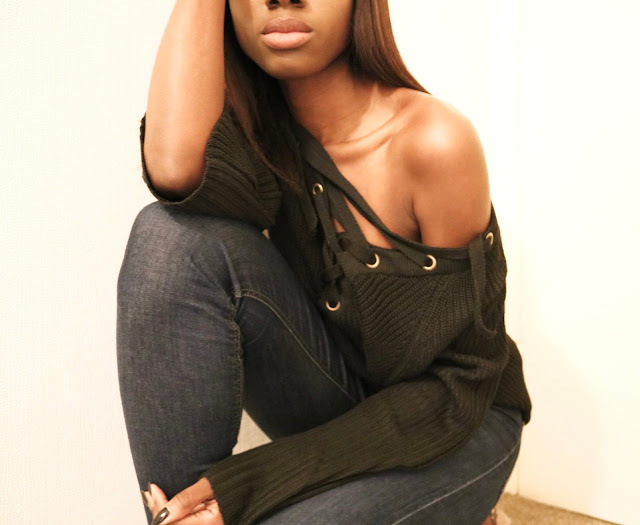 I picked up my lace up knit from Shein.com and I pretty happy with this piece. It was just as expected based off the images of the sight. It is one of those pieces that can be styled in so many different ways, whether worn on its own as I have done so here or layered up with other pieces. The Shein lace up knit is quite cosy and can be the ideal piece to reach for on those chilled and relaxed days hanging in your local brunch spot. The chunky lace knit jumper has been one of the it pieces this autumn winter season that has been circulating the fashion blogging world and I for one couldn't help but join in on the bandwagon/trend. Although I must say that the popular choice of colour way often favoured by most bloggers has been grey for this lace up knit and as my way of protesting to be a sheep I opted for the black version. 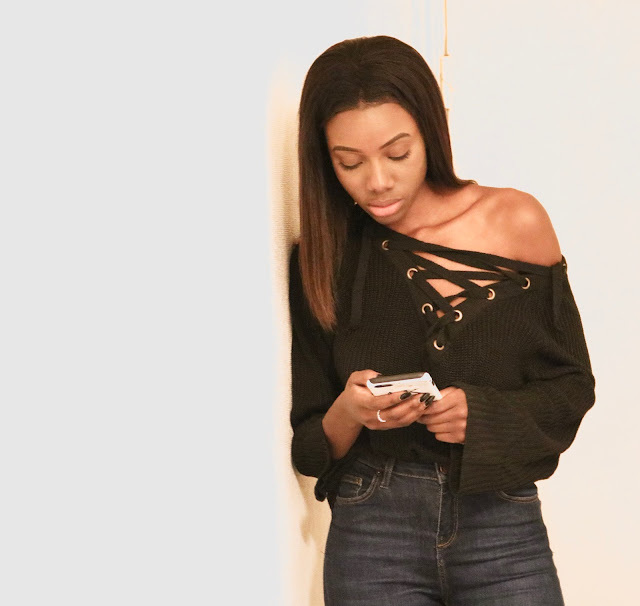 Having said that I really did want something different as I have seen the grey versions one too many times and that was also one of the influencing factors with me going for this black lace up knit from Shein. 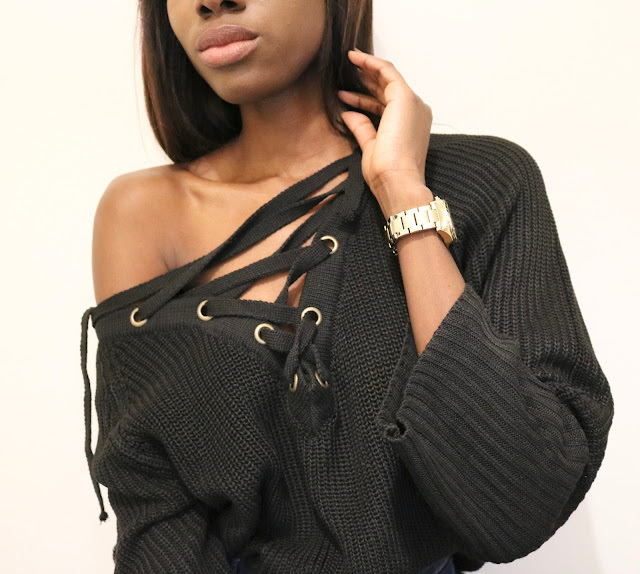 There are so many lace up knits out there on the market at the moment and it was the gold ring detail that clinched it for me with this Shein piece. I'm a lover of all things gold especially when combined with black.